Comfort Temp Company, began in 1985 as a small growing team of HVAC experts. Over the last few decades, Comfort Temp has developed into a full-service mechanical/ HVAC company specializing in heating and air conditioning services and providing excellent service at a good value to our residential, commercial and industrial customers. Our goal is to make indoor spaces comfortable by improving the quality of air and providing safety to building occupants; reducing maintenance expenses, energy needs and cost while being environmentally friendly. 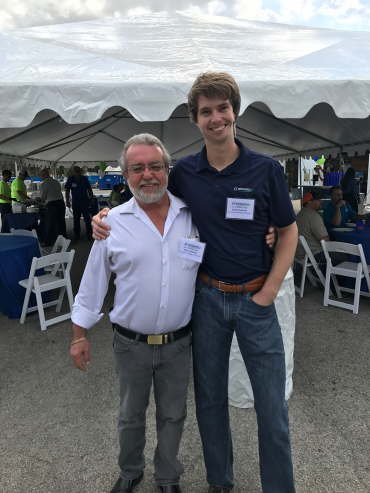 We proudly service most of North Central Florida’s counties with the highest quality, state-of-art technology HVAC equipment to all our clients. Your Comfort is Our Concern. We strive to make each experience with our company from install to service will provide you with exceptional, reliable service. 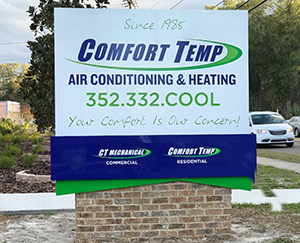 Comfort Temp is a family-owned and operated company committed to serving most North Central Florida area. We provide our clients with the right solution for each project and only offer safe and environment friendly options. We are your reliable partner for HVAC installs and service. Our goal is to make your living and working space comfortable! We aim to Improve the quality of air indoors and provide safety to building occupants. Our services reduce maintenance expenses and utilize environmentally friendly practices to reduce energy needs and costs. Including Residential Homes, Commercial, Industrial and Retail Spaces, Healthcare Facilities, University, College and K-12 Education Institutions, and Government Facilities. Comfort Temp is an experienced team of experts who are passionately dedicated to identifying our client’s needs to provide the best and most efficient solution for your heating, ventilation and air conditioning (HVAC) unit. Our Company – Comfort Temp adheres to the highest standards of integrity, professionalism and ethical business practices. Comfort Temp is an active participant in our community. We are involved in several location organizations and contribute our time and services to those in need.